Our dedication to offer the best solutions for the flexo industry is unmatched. We recently invested in the latest technologies in prepress, proofing and platemaking for web flexography. We then matched that investment with highly experienced personnel to bring flexo printers everything they need to succeed. We call our concentration on high quality flexo prepress and platemaking the CGC Color Center. We hope you will call it your prepress solution. Learn more about the Color Center and its capabilities for web-flexo below! Our Color Center has the latest in digital color proofing. Our UV proofing device can create color accurate dot proofs and mock-ups on any substrate. We can even print white! Our proofing system is completely integrated into our color management system so your proofs can be quickly matched on press. CGC employs the latest in digital flexo plate and pre-press technologies. These technologies combine to create printing plates with high resolution, flat top dots with advanced screening. The result for you is crisp reproduction, a wider tonal range and plates that run long and clean. Our GMG Color Management System provides everything needed to control color reproduction. GMG synchs everything up from press profile, spectrophotometer data, color separations, digital platemaking, and advanced proofing. 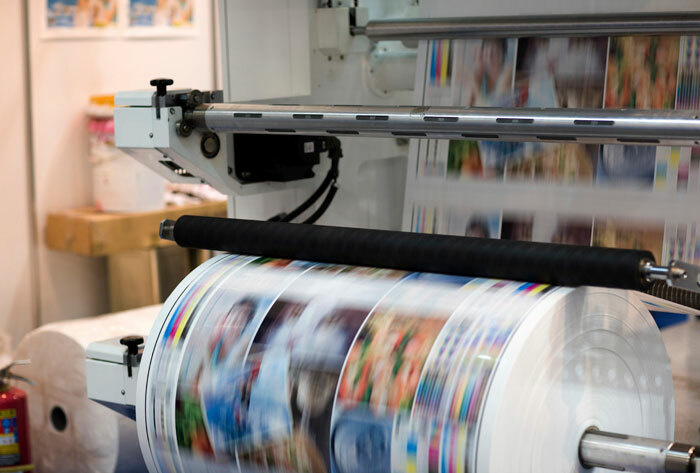 We combine that with skilled prepress and printing technicians that can help you raise the bar. Our specialists are always ready to assist our customers in meeting their performance and quality goals. As part of your team, we can collaborate in ways that yield solutions to issues of cost, productivity and print quality.